1380 B.C. In the streets of Wassukkanni, the capital of Mitanni, a beautiful slave lies dead. She belonged to Arttarna, Mitanni’s roving ambassador, and this slave and her master shared a secret: a five-year-old daughter. Little Kelu is brought to Arttarna, who soon becomes deeply attached to her. To hide Kelu from his jealous wife, he asks the king to let the girl become an attendant to Princess Tadukhepa. Living in the palace, Kelu spends every day playing with the princess and the two princes, Mattiwaza and Shaushtater. The children become fast friends as Kelu adapts to her new life of luxury. But her secret lineage keeps her in constant peril. 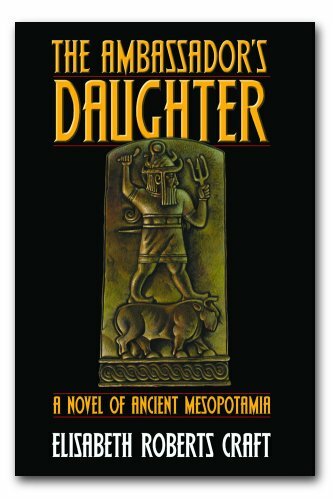 When twelve-year-old Princess Tadukhepa is sent to Egypt to become one of the pharaoh’s wives, Kelu moves to her Uncle Arttarna’s home. Then one day the king discovers that Prince Mattiwaza has become infatuated with Kelu, who is fast blossoming into a lovely teenager. The king orders Arttarna to take up ambassadorial duties in Hattusas, the Hittite capital, and to take his daughter with him. Rumors of an Assyrian invasion of Mitanni have already begun to alarm Ambassador Arttarna, and he takes the opportunity to investigate first-hand. From Hattusas he goes first to the capital of Minoa, Knessus, and then to the capital of Egypt, Memphis, where political rumblings and gathering armies foretell trouble. The danger is great, but the king will not heed Arttarna’s warnings of the threat to their homeland. In each new city Arttarna further worries about the stampede of ardent suitors determined to have Kelu as a wife. Secluded in a foreign palace, she would be lost to him forever. But how can Arttarna, living away from Wassukkanni, find an appropriate young Mitannian aristocrat to marry her? In any case, Mitanni’s precarious position could force Kelu to sacrifice her happiness for the sake of her country.